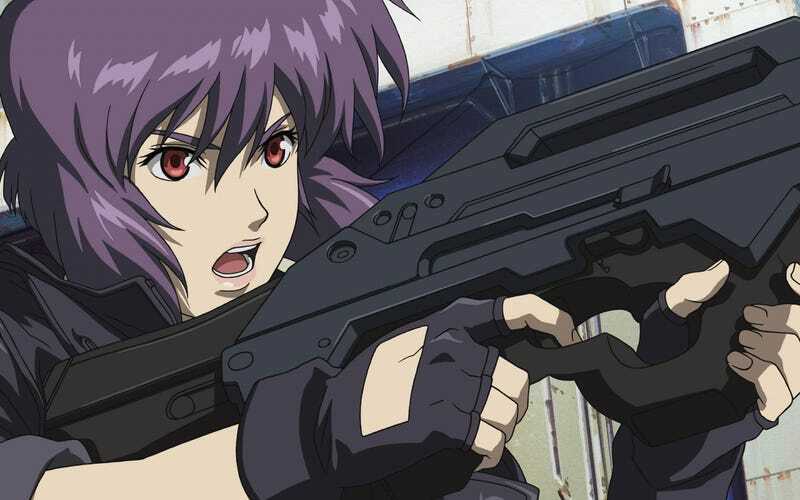 Buried in an article on Warner Bros.' casting choices for their Suicide Squad movie is the news that DreamWorks has reportedly gone after Scarlett Johansson to star in their live-action adaptation of Ghost in the Shell. Originally, The Wolf of Wall Street's Margot Robbie was in talks to star in the film. Those talks apparently went nowhere, as Deadline says that they've heard $10 million is DreamWorks' offer. That's apparently the amount Johansson now commands as a action star, given that she's now a proven quantity in that arena. Robbie is now being named, alongside Will Smith, Tom Hardy, and Ryan Gosling, as people that Warner Bros. is courting to star in its 2016 Suicide Squad movie, announced this week. I'm curious about a lot of things in this list, including that Will Smith's been talking about only having a few action movie years left in him, and potential blockbusters (especially in the shared universe deals) deals are usually for multiple movies stretching pretty far into the future. Granted for a star of Will Smith's caliber, WB might make any deal he wants.